Dune Runner Enterprises made a number of buggy bodies from their Westminster, CA shop. The Mini-Mercedes has a Mercedes like front grill on the hood. Built it from scratch in 1970 - 1971. Built as an off-road buggy until 1985. Then converted to a street buggy and lowered. Gone thru many disassemblies for re-wiring, structural repair, painting, and the latest, cutting off the original 1946 swing axel rear suspension at the shorting joint and welding on a later model IRS suspension. Looks much better slammed. The Dune Runner Pickup has a pick-up style bed in the back. 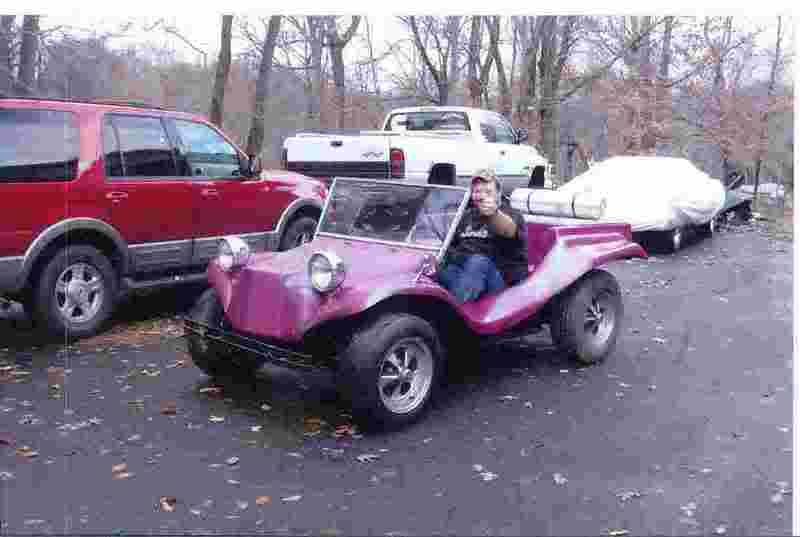 It could be mixed with any of the Dune Runner hood styles to make the buggy more unique. I purchased this truck about nine years ago because i've always wanted one . It's been sitting in my garage collecting dust until recently when my daughters boyfriend said " hey lets get it going " So here we are. The Shelbiete GT hood had a "mouth" grill with a single ridge up the center. The TBird was originally named the "Road Runner" until Warner Brothers sued them. The buggy was then renamed the TBird. BF Goodrich T/A Radials with chrome reversed wheels and baby moon hub caps - SHARP! We were tired to RVing with our friends and never having a toy and we wanted something street legal. This is the perfect answer for us. Everyone who sees dune buggy's loves them. They are happy cars to have! Just starting to get involved with clubs and rides. Looking forward to doing it again. Picked it up for $50 got the doner car for $100 dollars. Parted out the windows doors etc off the doner made $250. Have the intention of making a car enough to beat my kids 07 Charger. He ran a 14.19 @ 99.34 against my Squareback's 20.80 @ 63.02. Told him I would have a aircooled VW to beat him. Waiting for our house to be built so I can start building it with stock parts and in a few years build the Hot rod. The wife named it Fred!. 68 vw based. i think its a full frame? 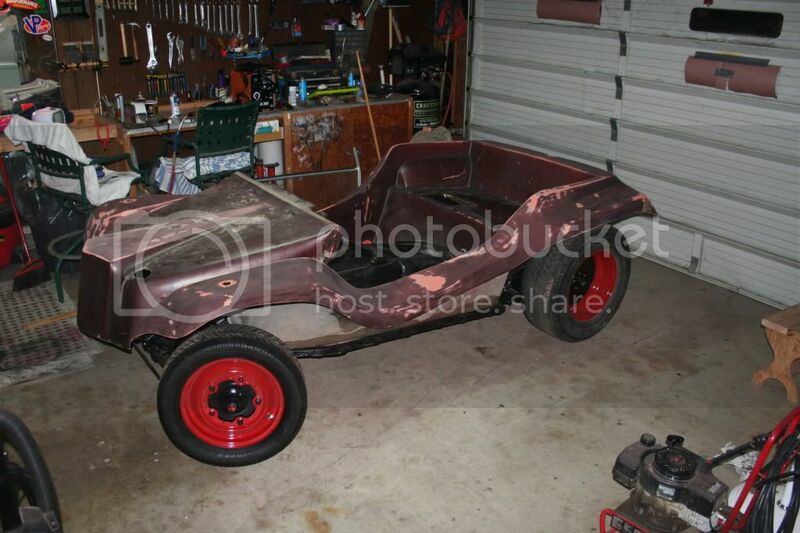 I always wanted a dune buggy, growing up in southern cal.I found this one sitting behind a body shop.The owner was asking way to much $ for the shape of the buggy. I kept a eye on the bug for a year or so and went back,I got the bug for $800 & a small 4- wheeler. it needed a ton of work, but the body was in great cond,ive been working on it for 2 yrs now.Shes about a week or 2 away from hitting the pavement again!!! the body shop owner. p.s. good things come to the one who waits!! 10" Rear Chrome reverse wagon wheels. My wife & I took our 3 little boys to San Diego June 1968. We had never even heard of a Dune Buggy before, now they were everywhere. My heart jumped up into my throat so hard I almost choked. I told my young wife we just had to build one. We had to cash in some badly needed Traveler's Check just to get one.There were dealrs everywhere, bodies lined up on the sidewalks. I chose the Road Runner and T-Bird hood because I liked the Low Entry sides and the thickness of the "competition body". Got the Body, hood, sides, windshield frame, short glass top and A-Z instruction book for $538.00 as I recall. Rented a U-Haul enclosed for $53.00 to take it all the way back to Toledo, Ohio. I had to hang the body up on it's side, diagonally with a new clothesline rope just to get it in.Had to stop every 200 miles as the body would cut thru. 1969 Type 1 full length w adjustable front and rear torsion. Found by a friend in Spring of 1996 sitting in a garage under a pile of junk and covered in cat urine and filth. Owner sold it to me about six months later. I removed the body, seats and windshield and trashed the rest, took a year and a half to put it on the road.